MANILA, Philippines - "The Filipino Flash" Nonito Donaire captured the WBO super bantamweight belt after defeating Mexican Cesar Juarez via unanimous decision Saturday in San Juan, Puerto Rico. Donaire claimed victory with 116-110, 116-110, and 117-109 in a toe-to-toe match. 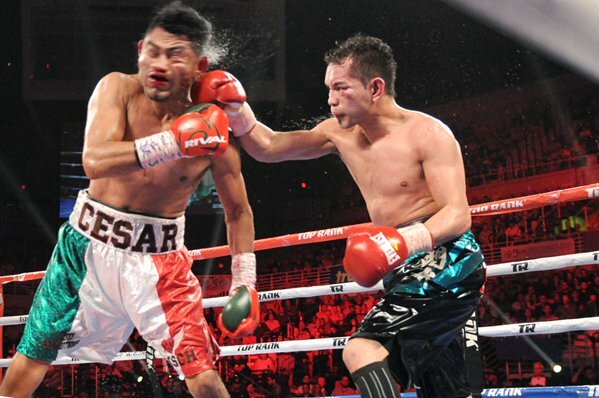 VIDEO: Nonito Donaire-Cesar Juarez fight highlights. Donaire wins via unanimous decision. The Pinoy Pride knocked down Juarez twice in the fourth round, first via a huge right hook and then again with his trademark left, but the Mexican was able to survive the count both times. Juarez unleashed an offensive onslaught, staggering Donaire who seemed to have lost steam. After the stiff match, all the judges gave favor to Donaire. Donaire improved to 36-3 in his career, while Juarez dropped to 17-4.